A MASKED ball hosted by the mayor of Leamington raised thousands of pounds for charity. 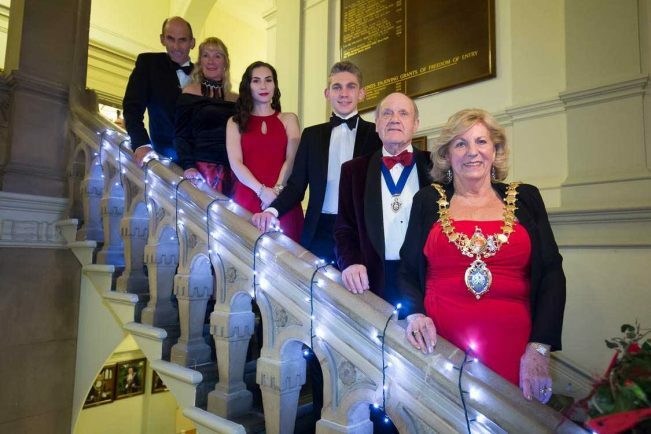 Coun Caroline Evetts raised over £4,000 for her chosen charities – The Samaritans, Alzheimer’s Society and the NSPCC – when she hosted the glittering evening at the town hall, which included a performance by Spa Opera. Coun Evetts said: “It was a vibrant evening and people were so very generous, I want to thank all my friends, family, local businesses and fellow mayors for all their support.